That’s how significant I rate the current battle for his services, the prospect of Rooney leaving Manchester United for Chelsea simply unthinkable if the title holders are to retain their crown. For all the new signings, emerging stars and possible arrivals into the Premier League in the next few weeks, it is Rooney who will have most influence on proceedings over the next nine months. If he joins Chelsea, they will win the league. I’m absolutely sure of that. If he remains at Old Trafford, David Moyes has a much better chance of marking his debut season with the title. Should Rooney be sold to a foreign club, not ideal for Moyes, but probably more acceptable if he is intent on leaving the club, thenManchester City manager Manuel Pellegrini will be celebrating. It will open up the possibility of City emerging victorious from what will be a three way fight for top spot. There’s a golden rule in football: you never sell to your biggest rivals. Check the history books and see how often it has happened and what the consequences where. Arsenal did it last season with Robin van Persie and the impact was discussed every week thereafter, the most meaningful transfer activity of last summer effectively worth 12 to 15 more points to Manchester United. The story of last season was how van Persie’s capture secured the league in August. We’ll be in similar territory if Rooney joins Chelsea. United can’t sanction a deal that makes Chelsea stronger and United weaker, no matter how much Jose Mourinho bids. Mourinho is well aware of both the sporting and psychological impact of parading Rooney at Stamford Bridge, which is why he is so keen to make the deal happen. He knows what a coup it would be. Although there has been plenty of discussion about Rooney’s form, I don’t think he was as poor last season as some suggest. His stats still stand up to scrutiny, even if he was not at his best. What I still see is a player who covers every blade of grass, often sacrifices himself for the team by dropping into less favoured positions, and still scores with the kind of frequency that wins you trophies. It doesn’t matter how great a player you are, nobody is sensational every season of their career. The class remains, however, and the ability to have influence at key moments will be there for many more years. What you also get with Rooney is a winner. Someone you want sitting next to you in the dressing room before those season-defining games. A guy you know will give 100 per cent until the last whistle, determined to make a difference. He lives and breathes to play football and has the capacity to make the match-winning contribution from anywhere on the pitch, working as hard in defence as he does in attack. Rooney would galvanise the Chelsea dressing room. One of the fundamental reasons for United’s success under Sir Alex Ferguson was the sense of togetherness he bred within his squad. They’ve always seemed such a tight group, their spirit and mentality crucial to so much they’ve achieved. Even last season, I would argue both City and Chelsea had more technically gifted players in their squad, but were well behind United in terms of their team work, organisation and readiness to run that extra yard or make that extra tackle to win. Rooney is an essential component of this at United and the swing in favour of Chelsea would be huge. Mourinho will recreate the siege mentality at Stamford Bridge, the feeling it’s “us against the world” he revelled in during his last spell at the club and which Ferguson nurtured throughout his reign. He knows if Rooney was in a Chelsea shirt, feeling he had something to prove for the way it may have ended at United, he’d simply have to unleash him, sit back and watch the goals flow. Clearly Moyes was left with an incredible challenge when he inherited the Rooney situation. No matter what was said at the time, when Rooney was left on the bench for the Champions League tie against Real Madrid it sowed the seed for the disillusionment we have identified since the end of last season. It’s a tough enough job for Moyes replacing Ferguson without having to deal with the prospect of losing such a pivotal player. How he emerges from this first major challenge will have a defining impact on his debut season at Old Trafford. There can be compromise for United. Rooney has to stay. Samuel Eto’o has issued a come-and-get-me plea to Jose Mourinho at Chelsea after being made available for transfer by Anzhi Makhachkala. Striker Eto’o, a three-time European Cup winner who last lifted the trophy two years ago under Mourinho at Inter Milan, wants to work with the Special One again. It is believed the Blues could move for the 32-year-old if they ultimately fail with their repeated attempts to buy Wayne Rooney from Manchester United. Eto’o, who has been offered to a number of clubs as Anzhi bid to slash their wage bill, said: “There is only one Jose Mourinho. Anzhi have put their entire squad up for sale after a poor start to the season. Chelsea were claimed to be in for Arda Turan earlier this summer. How close were they? Chelsea fans may cast their minds back to May and recall the time when the club were linked with signingArda Turan. Reports in Turkey claimed he was ‘Mourinho’s most wanted’, and the club were ready to meet the €24 million release clause in his contract. And then it all seemed to go quiet. Turan did not move to Chelsea, and remains an Atletico Madrid player. Were the reports simply made up or agent talk? Not according to Spanish newspaper AS, who this week report that Turan turned down numerous offers from abroad to remain at Atletico. “The decision is firm: Arda will not leave Atletico. There are five teams that have interest in him throughout the summer, but the resolution of the player is unshakable. 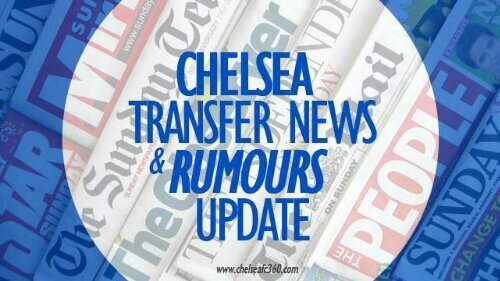 The identity of the clubs are not all named in the report, but cross-referencing the figure regarding his release clause along with the reports in his homeland about Chelsea, suggests it may have been the West London club who met the fee – Only to be turned down by the player. The report adds his former side Galatasaray were one of the teams interested, along with big spenders Monaco who made a bid of €17 million. If it was indeed Chelsea which made an approach, the Blues should not worry overly. Turan is a superb player, but not one who would necessarily add anything to the squad which Andre Schurrle and Kevin de Bruyne can’t. It’s likely he was being lined up as a back-up in case a deal for Schurrle fell through, and bearing that in mind, Chelsea should certainly feel they got the better deal.